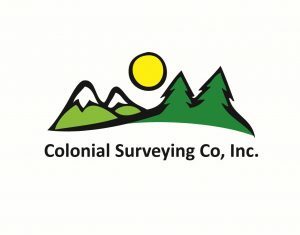 Survey necessary to install a fence, landscaping, or a neighborhood dispute. We install boundary markers along property corners to make it very easy to distinguish the lot line. Needed for converting a building of single ownership into two or more ownerships. We prepare site floor plans and calculate all the areas necessary for your attorney to write a master deed and record your condominium. This survey is needed for sites that are developed from scratch or if extensive remodeling is needed. Our site plans include all the existing conditions including the above and below ground utilities and topographic information. If you’re looking to add permanent monuments, a granite monument is the preferred way to preserve a property survey over iron bars. The government is constantly reworking the Base Floor Elevation for the United States, and on occasion a hours that has never been in a flood zone will be changed into one. In order to not be forced to purchase flood insurance, an elevation certificate is needed. We take care of this for you and provide all paperwork needed for file your house outside of the flood zone. This is a survey that is requested by a lender and is intended to demonstrate that the house you’re purchasing is located where it is supposed to be without any zoning issues. An in-depth survey showing all encroachments, contours, buildings, improvements, above and below utilities. This plan is used by the title insurance company to write a policy to the title of your property. This plan includes a Petitioners plan, and the court has a manual of instructions that a surveyor must follow to prepare this survey to be submitted to the court for adjudication of the property line. Once these lines are established by the court, they cannot move without filing for a subdivision plan with the court.